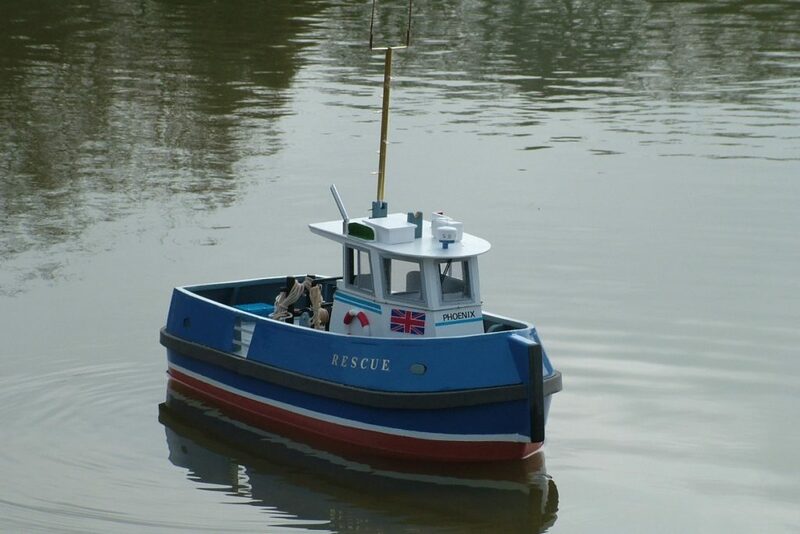 Phoenix, Rescue Tug; Model: Ken Dyer. 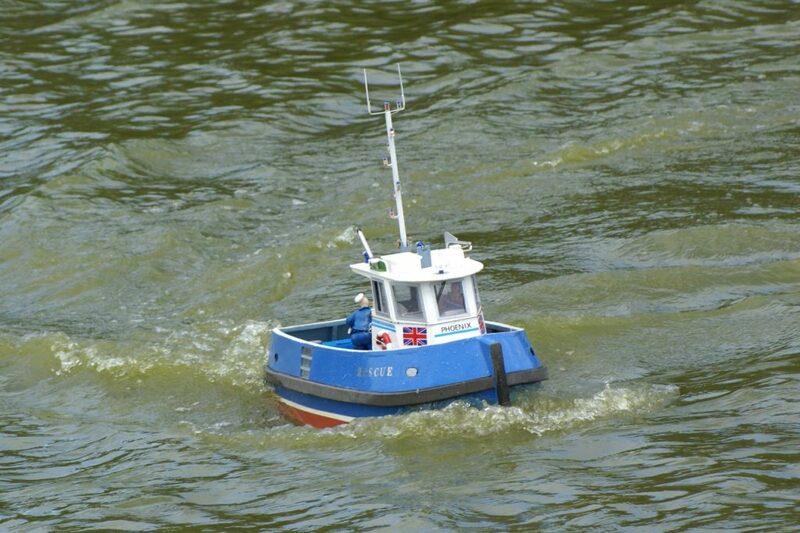 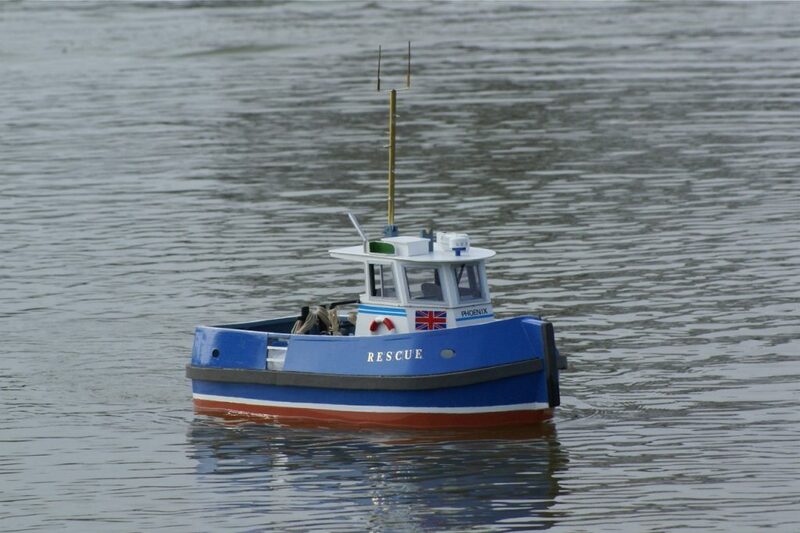 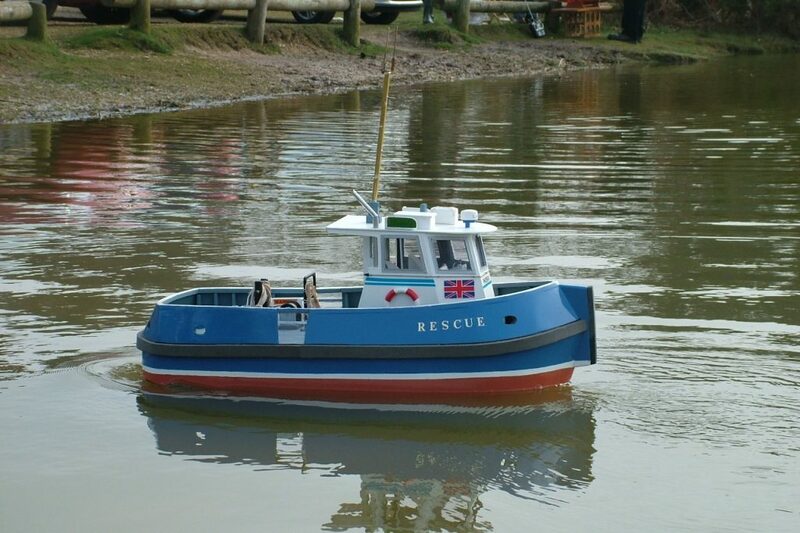 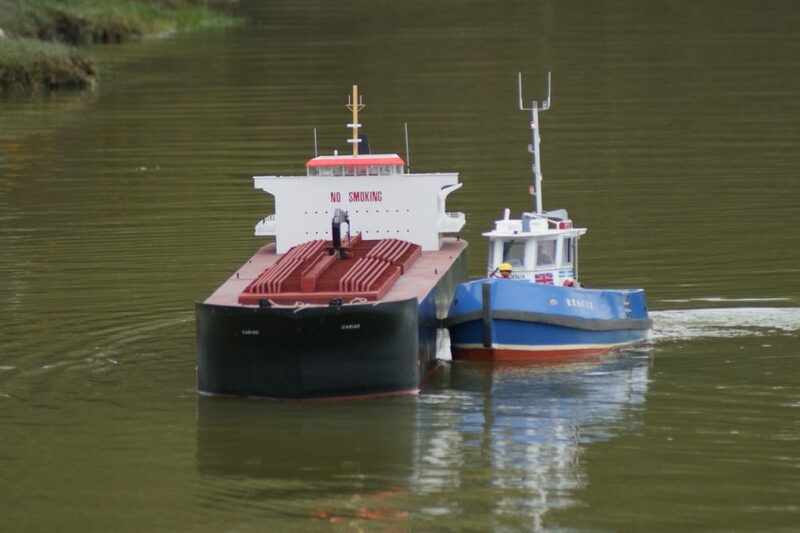 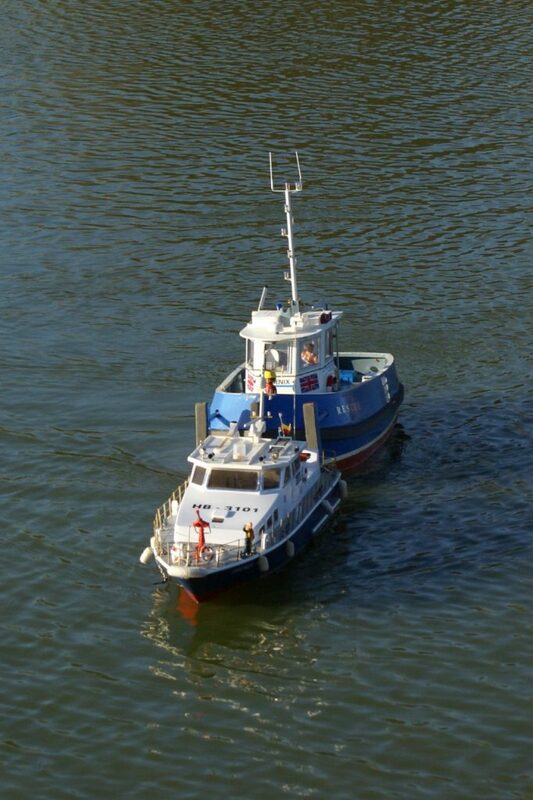 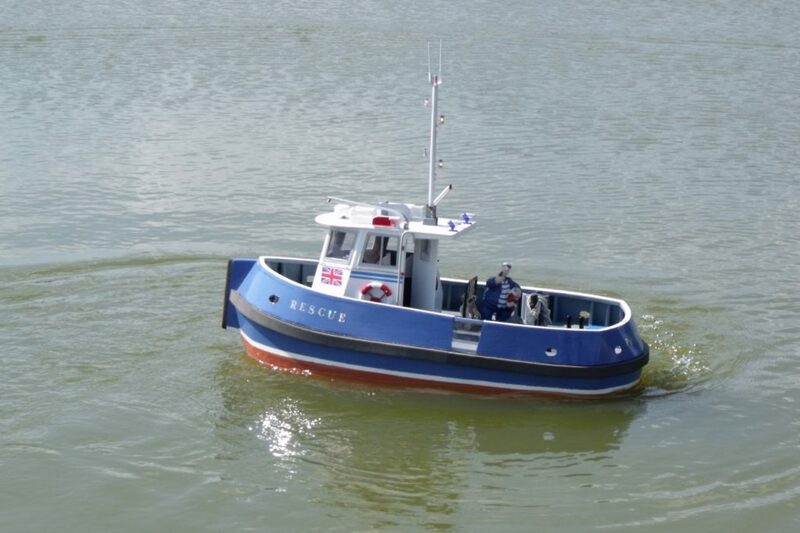 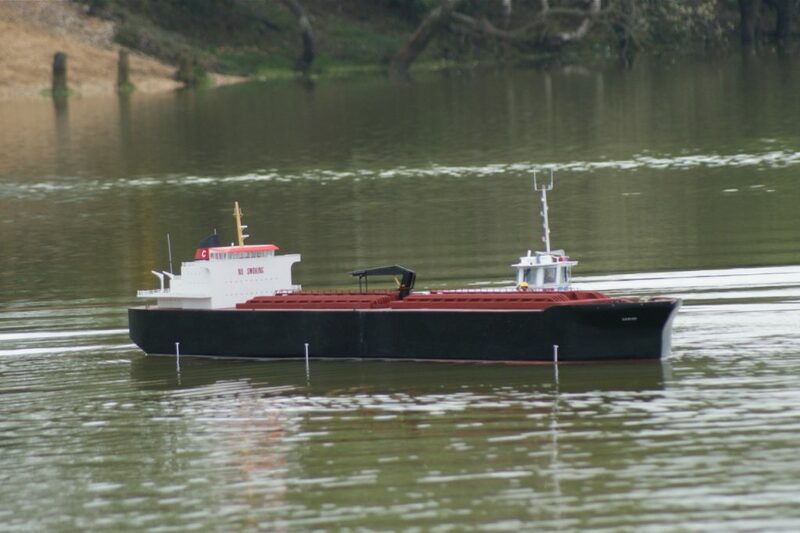 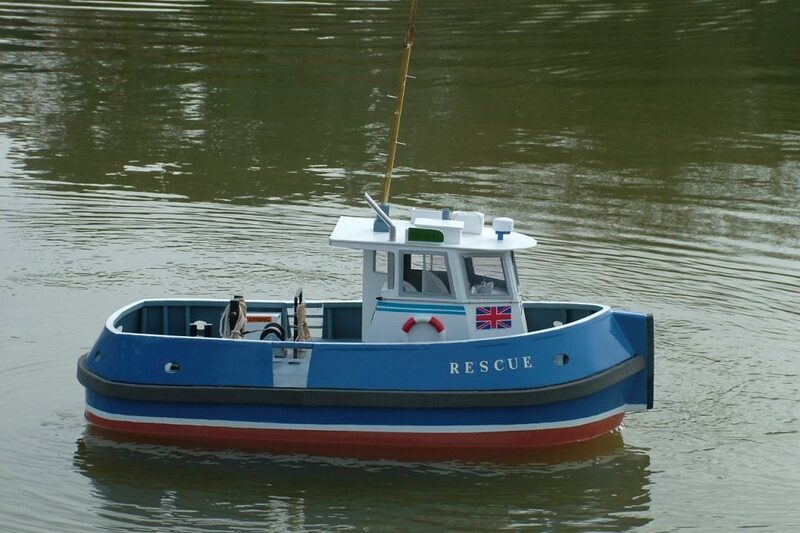 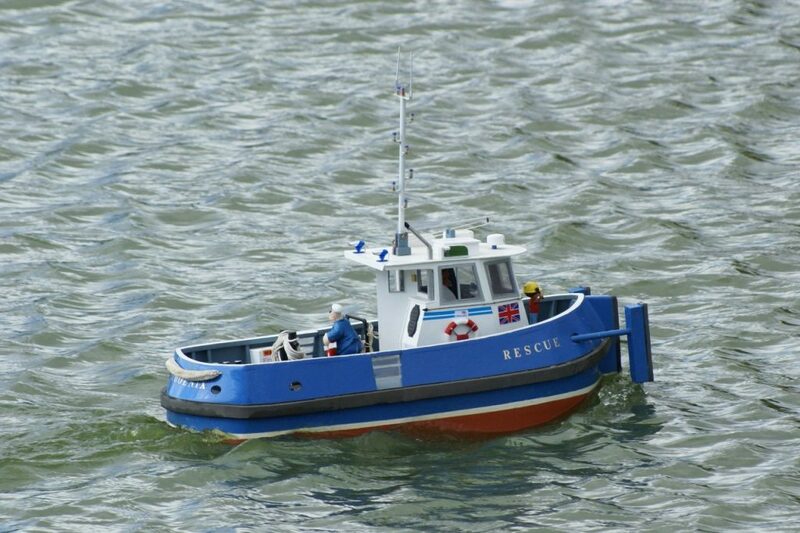 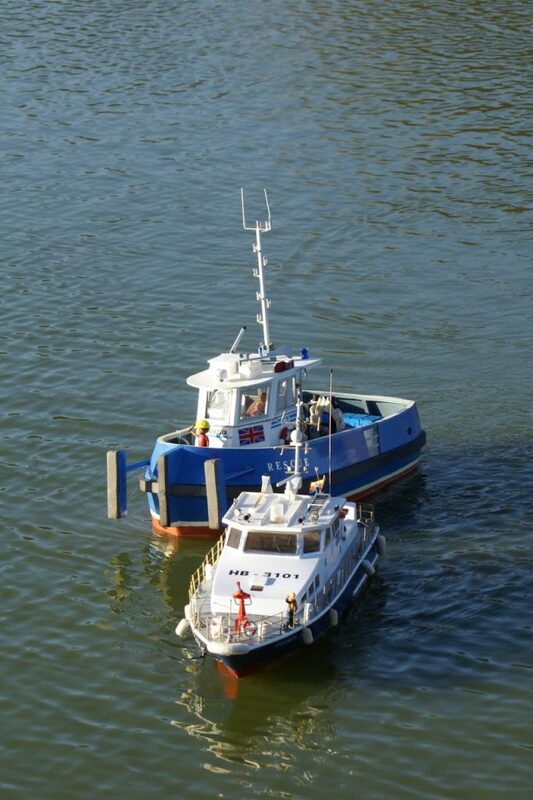 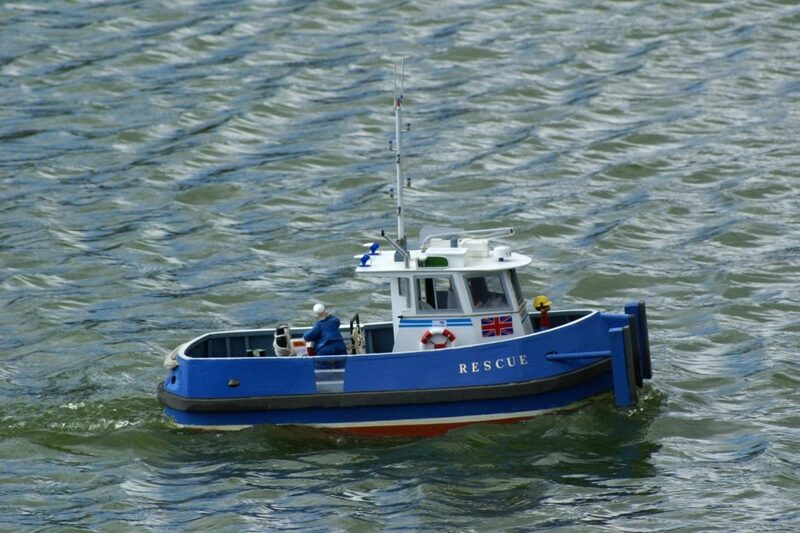 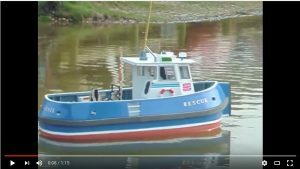 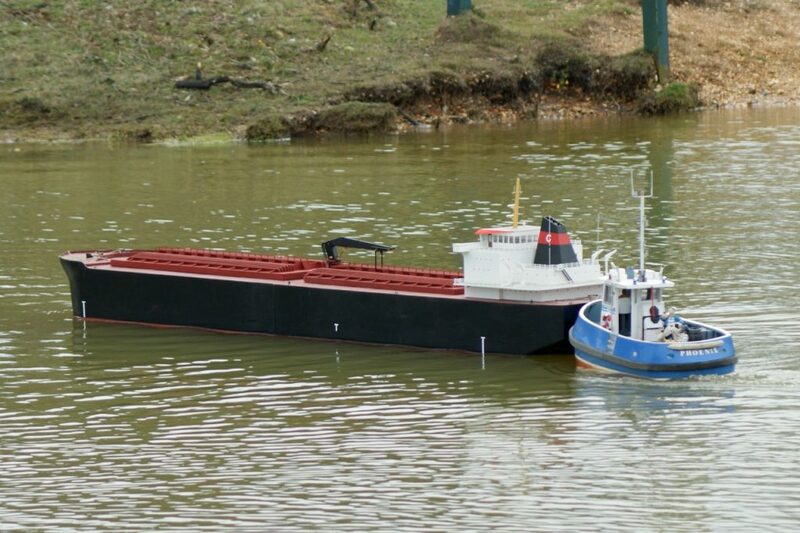 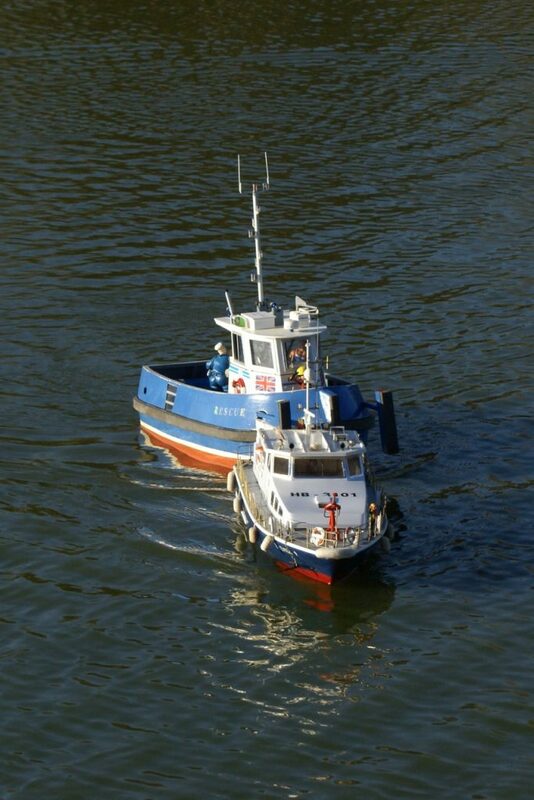 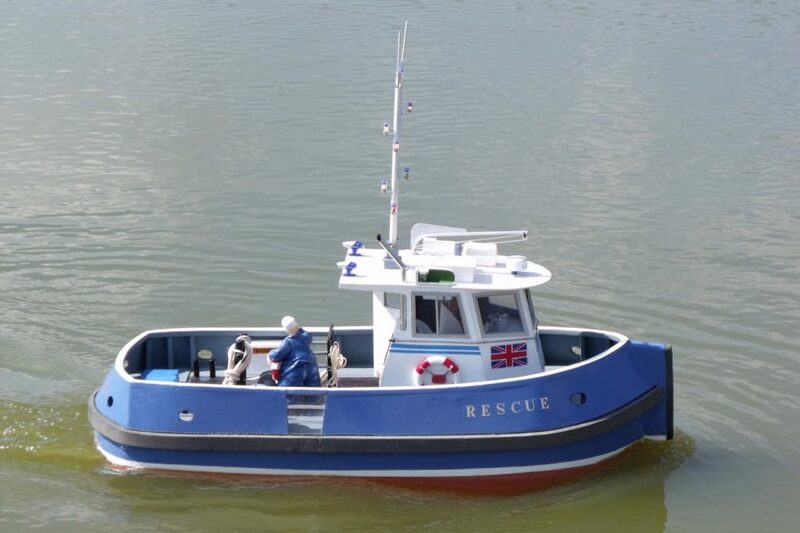 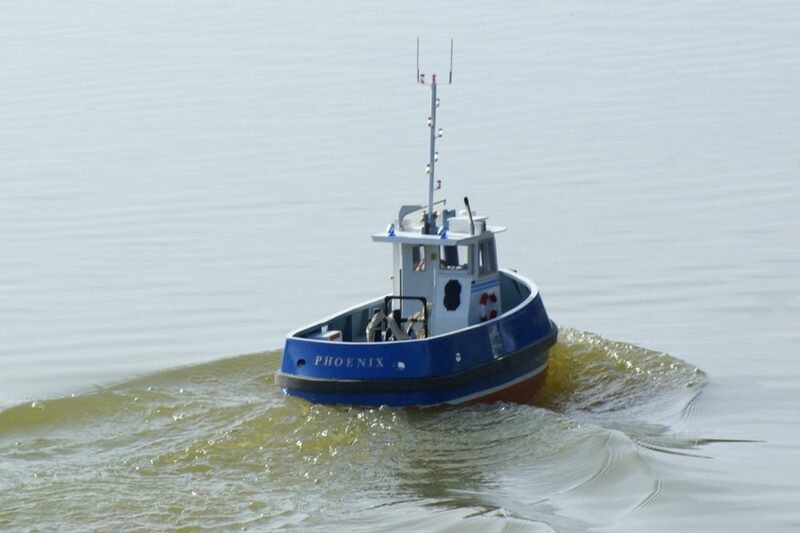 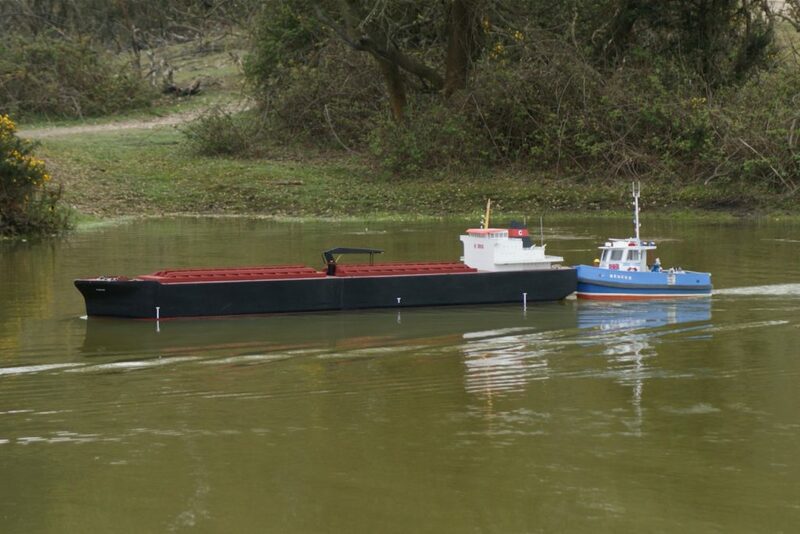 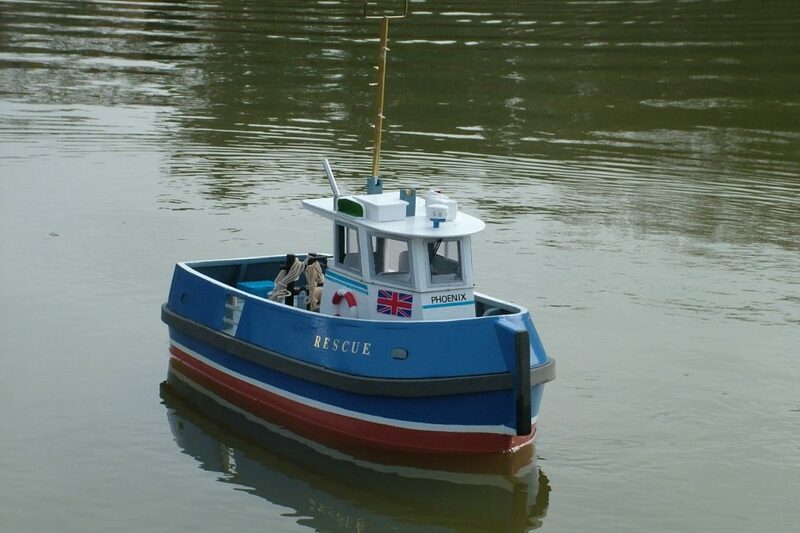 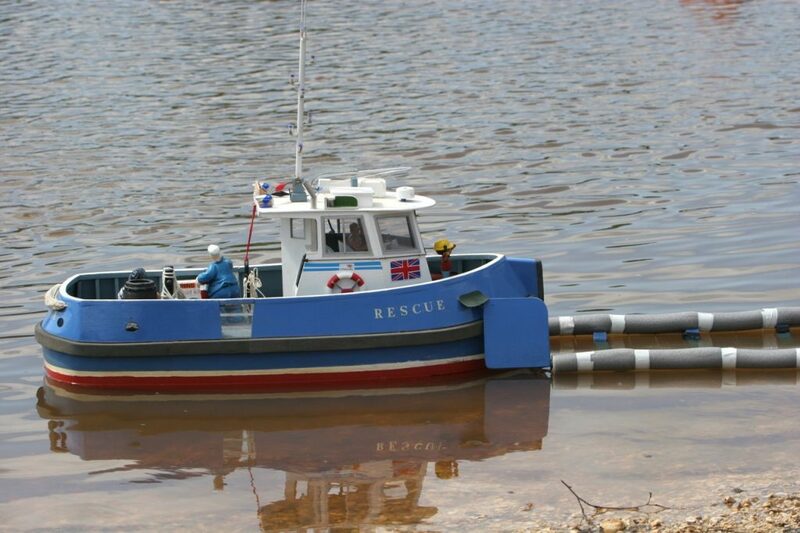 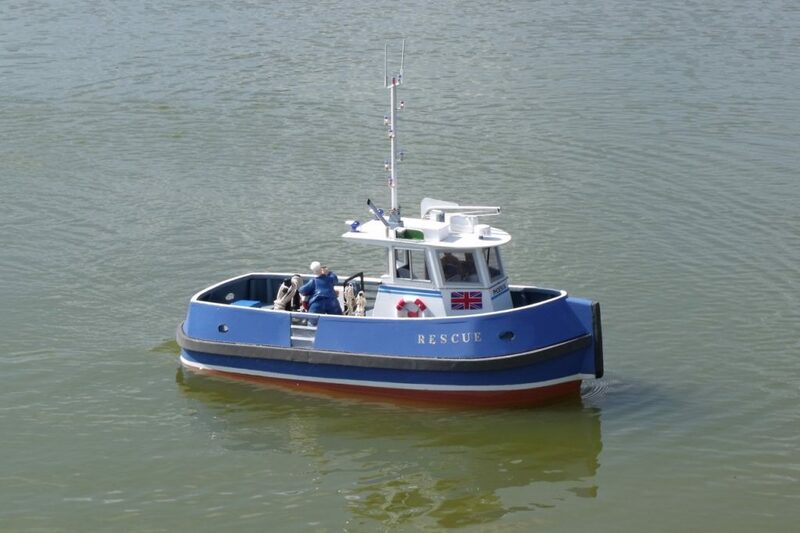 Phoenix is a 1/10th scale model of the “Sea Helper” tug/pilot boat made by McDuff Ship Engineers, near Aberdeen. 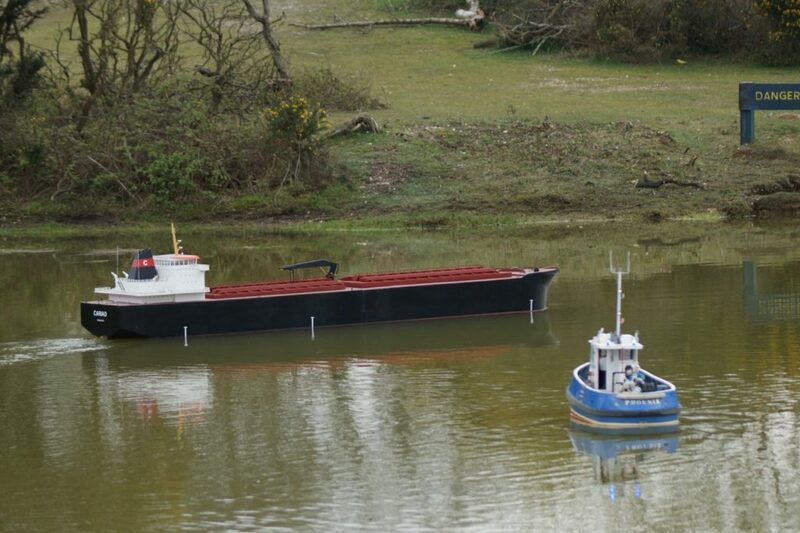 The model was based on a scaled up version of a plan published in MMI magazine plus extensive web research – mainly photos. 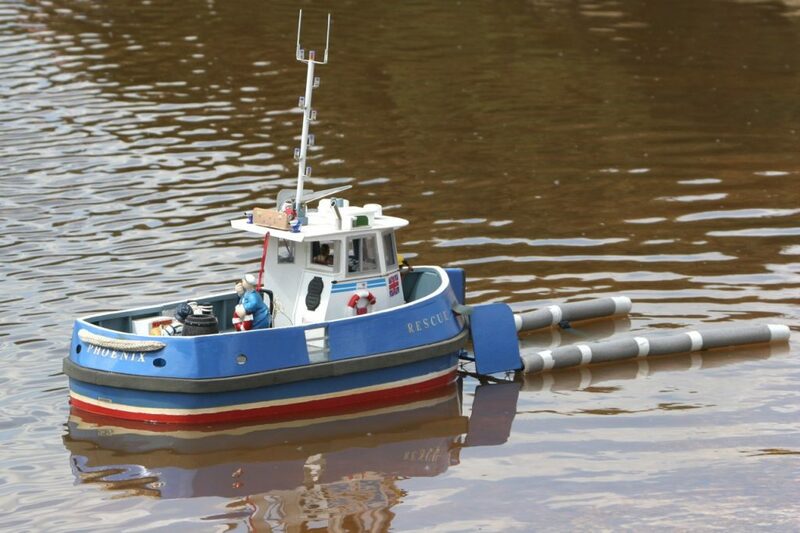 The model is named “Phoenix” in recognition of it being the first model he has built since a fire destroyed Ken’s workshop and his extensive collection of models in July last year. 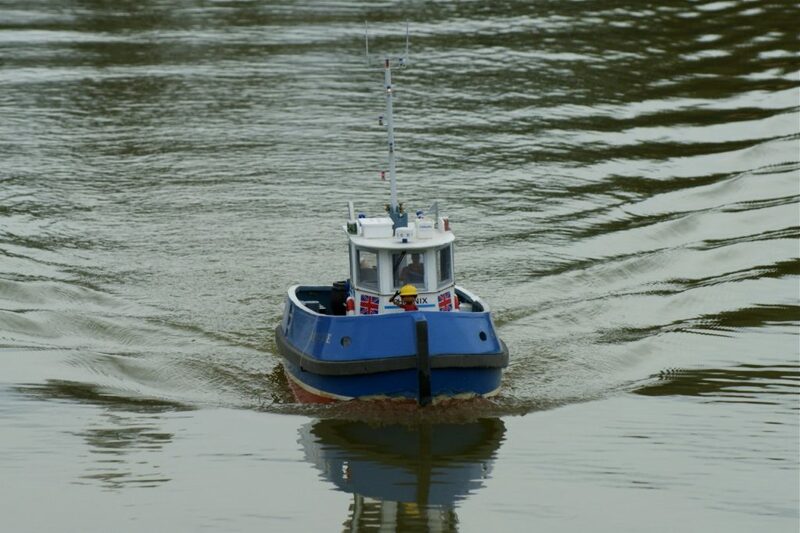 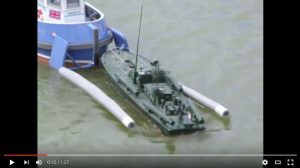 The tug is powered by two 12v car heater blower motors which provide massive torque to lazily turn the 40mm 4-blade propellers at a very modest current consumption. 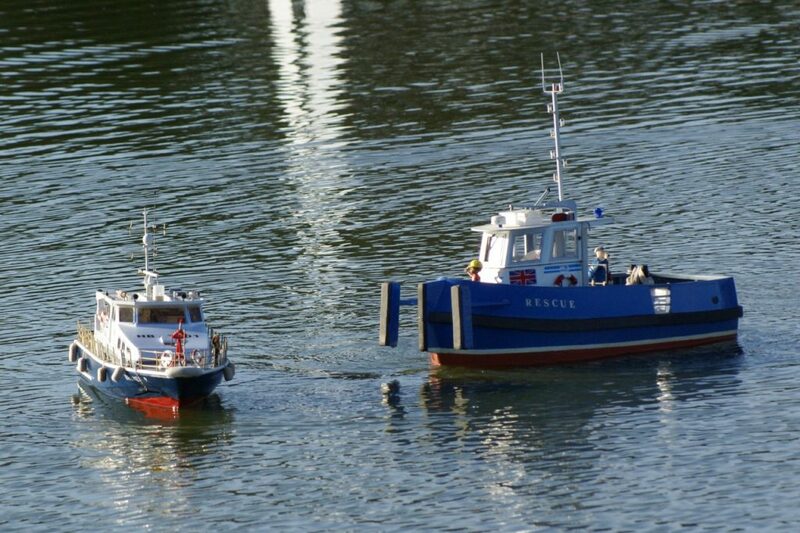 The motors are controlled by twin 15A ESCs and one of Alan Bond’s rudder mixer units. 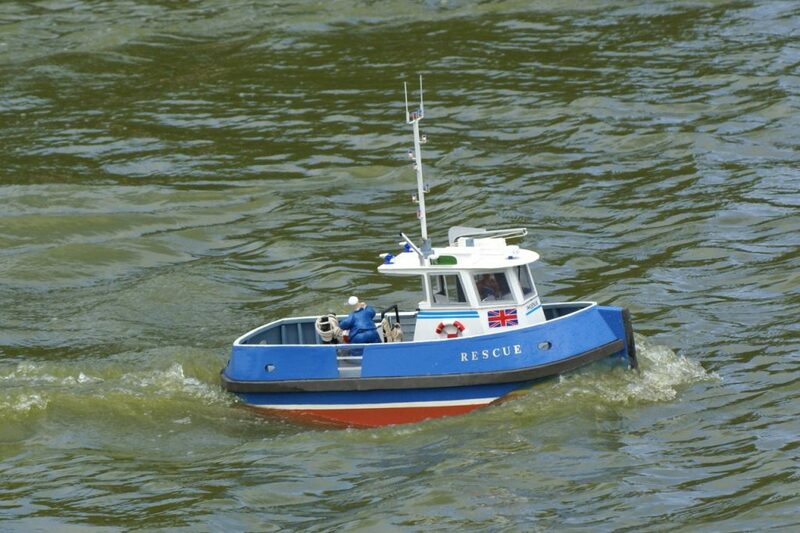 The motor sound is also one of Alan Bond’s units, which you can see elsewhere on the club website. 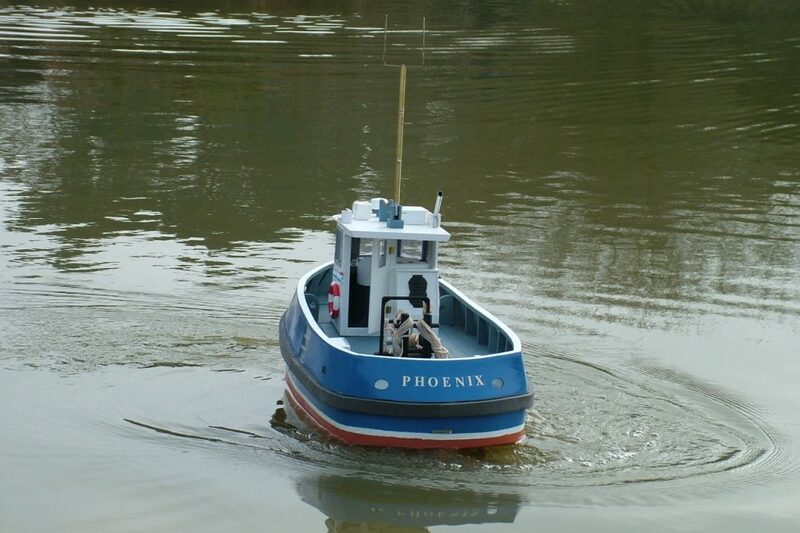 In the past Ken had always operated the club’s rescue boat and Phoenix continued that tradition.